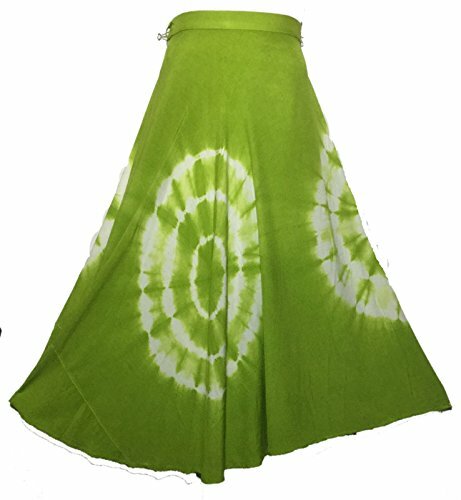 This is a wrap skirt which makes it easy to adjust around numerous waist sizes. You can wrap it around to suit your exact body type and waist size. The skirt has a belt that does not stretch, but can be tied around to create the perfect fit. To wear the skirt, the belt must be wrapped around the waist, and pulled through the hole/loop openings to secure it in place. Simply tie, and you're ready to go. Appropriate for many occasions and all seasons. If you have any questions about this product by Decoraapparel, contact us by completing and submitting the form below. If you are looking for a specif part number, please include it with your message.